I believe it is uncontested that mental health and mental illness have played at least some, if not the primary role in incidents that are now known by chilling, geographic, monikers such as Virginia Tech, New Town, Aurora, and Roanoke. As the Wall Street Journal reported late last fall, we need to make sure we are getting to these individuals when they are struggling with mental health issues, but before they spiral into full blown crisis. Given that there are multiple schools of thought on how best to handle the mental health crisis as it relates to mass murders, what do you believe would be the most effective way to keep mentally ill individuals from harming others? Put another way, what can we do to help these ill individuals, but also prevent yet another mass murder? As the parent of an adult son with a severe mental illness, I cringe whenever I see a news report about someone who is psychotic committing a violent act, such as a mass shooting. It is important to put these shootings into context. Unfortunately, Dr. Appelbaum’s writings and these studies do little to dissuade or calm the public when many of the more horrific and deadly mass murders in recent times have been committed by individuals who were mentally ill. Consider Seung-Hui Cho, the shooter in the Virginia Tech massacre in April 2007, which remains the deadliest mass killing on a university campus with 33 dead. Consider Jared Lee Loughner, the gunman who murdered six people in Tucson and severely injured U.S. Rep. Gabrielle Giffords and 13 others in January 2011. Consider James Eagan Holmes, who was convicted of killing twelve people and wounding 70 others — the largest number of casualties in a shooting in the U.S. — inside a movie theater in Aurora, Colorado during July 2012. Consider Adam Lanza, the 20-year-old Newtown, Connecticut killer who fatally shot 20 children between the ages of 6 and 7, and six adults in the Sandy Hook Elementary School shootings in 2012. Consider Aaron Alexis, who fatally shot 12 people and injured three others at the Washington Navy Yard in 2013. Although these mass murders by mentally ill individuals may be a small percentage, they were so sickening that they have forever melded mental illness with violence. The Mental Health and Safe Communities Act of 2015 (S.2002), introduced by Sen. John Cornyn, supports broader implementation of AOT. That is one of the bills that you are reviewing. When Sen. Cornyn asked me during the hearing about AOT, I explained that it is one of many important recovery tools. Because it involves forcing someone to accept treatment, I believe it is best used only after other non-force alternatives have been exhausted. This is also the view of the National Alliance on Mental Illness, our country’s largest grassroots mental health organization. As I testified, the key to lasting recovery is engaging an ill person so they will participate in their own treatment. Offering robust community services and/or using force only provide temporary respites if a seriously ill individual does not recognize that he/she is ill and want to recover. The real question that needs to be asked is how can we get persons with mental illnesses engaged. In each of the mass murders cited above, there were warning signs that were ignored. This is important to note. Family members, friends, college professors, and coworkers recognized – before each mass shooting – that the eventual shooter had a serious mental illness and was acting inappropriately. I am most familiar with the Virginia Tech shootings because it happened in my home state. I live in the same Virginia neighborhood as did Seung-Hui Cho and his family. One of my sons was in the same elementary school class as Cho. Another one of my sons shared the same high school counselor as Cho did. A third son of mine was attending Virginia Tech when the killings happened. And finally, I served on a state panel after the murders that examined our state’s involuntary commitment statutes. According to published reports in the media and also to the Mass Shootings at Virginia Tech Report prepared by a special investigative panel appointed by then Governor Timothy Kaine (10), there were a multitude of “red flags” raised before Cho’s rampage. Cho had been cautioned by college officials twice about stalking. He had threatened suicide. 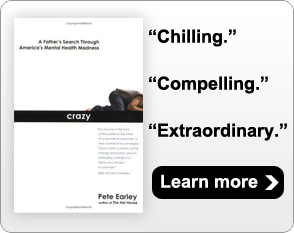 His bizarre and frightening behaviors in his college dorm and in the classroom had been repeatedly documented. Several of his teachers had sounded alarm bells, including one who had stated that she was uncomfortable having him in her classroom. Despite these multiple “red flag” warnings nothing was done. According to the report, “overly strict interpretations of federal and state privacy laws” (12) kept officials from intervening. When interviewed, these same officials explained that they were told that they couldn’t legally intervene until Cho was deemed an “imminent danger” to himself or others, which was the state’s standard for involuntary intervention and treatment at the time of the shootings. When Cho’s behavior was so alarming that he posed an “imminent danger,” a special justice ordered him to submit to outpatient treatment in the community. The investigative panel concluded that Cho simply ignored that order without consequence. He was told to report to a counseling center for treatment but didn’t. No one checked and no one noticed, and the result was him becoming sicker and the murder of 32 of his classmates before he ended his own life. The Cho case revealed three problems that kept Cho from getting treatment. The first was “overly strict interpretations of federal and state privacy laws” that led to a breakdown in communication. There was no sharing of critical information between campus security, local law enforcement, and campus mental health officials responsible for monitoring a student’s welfare. There was no sharing of information with Cho’s parents, even though they knew him best. Because there was no sharing of information, there was no coordinated effort to intervene and get Cho into treatment. There should have been. I know of no foolproof way for anyone to predict dangerousness. Sadly, it only becomes obvious after a dangerous act has been committed. When that happens, a person is punished, not treated. Requiring that a person become dangerous before intervening is a recipe for disaster. It was why I couldn’t get my son, Kevin, help even though I knew that he was psychotic. He ended up being arrested after he broke into a stranger’s house to take a bubble bath. I would urge the Judiciary Committee to bring together the best legal minds in our nation to develop a better legal standard for intervention. We need a law that will protect civil liberties and keep individuals from being abused but will allow the State to take action before someone who is psychotic hurts themselves or someone else. Had the state intervened much earlier in the Cho case, perhaps lives could have been saved. The third problem revealed in the Cho case was a lack of comprehensive community based services. It does no good to find someone dangerous and order them into treatment if there is no treatment available that can help them recover. According to the investigative report delivered to Gov. Kaine, cutbacks in state funding in Virginia resulted in community mental health workers being told to NOT attend commitment hearings. There was no budget for them to attend. Had a worker been at Cho’s hearing, that worker would have been responsible for making certain Cho reported to his counseling appointment and received help. It may be impossible for our society to eliminate all mass murders. But red flags were raised before the Virginia Tech, Tucson, Aurora, Newtown, and Navy Yard killings. Because each of these crimes was unique, there are no one-size fits all solutions. However, I believe the red flags that were raised created an opportunity for intervention, engagement and recovery – an opportunity that could have led to a much different outcome. I have testified before Congress five times and no one with a mental illness has been called as a witness at any of those hearings. If you were investigating heart attacks, you would want to hear from someone who had survived a heart attack. Holding a hearing and not inviting someone with a mental illness, who has recovered, to testify is a missed opportunity. I have learned much from listening to my son about what worked and didn’t work in helping him recover. I would urge your committee to include someone with a mental illness on future panels.